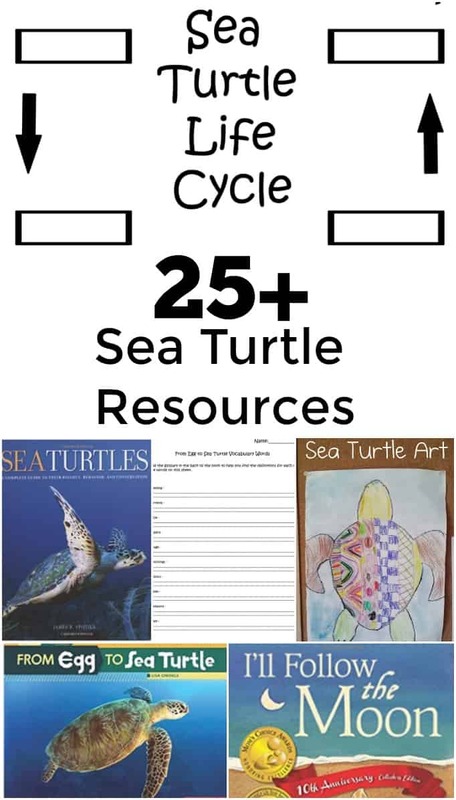 Sea Turtle Resources - 25+ Sea Turtle Lesson Resources! We were invited out to see trackers placed on loggerhead sea turtles to track their migration. I will be sharing more about that trip soon. I decided this week needed to focus on learning more about sea turtles. I wanted the kids to really enjoy the trip and understand why it was so important. Are you teaching about sea turtles this school year? I put together this list of sea turtle resources including crafts, printables, books, videos, and more! Make sure to check out the book section as I have added some free printables there that will go with the book so well. 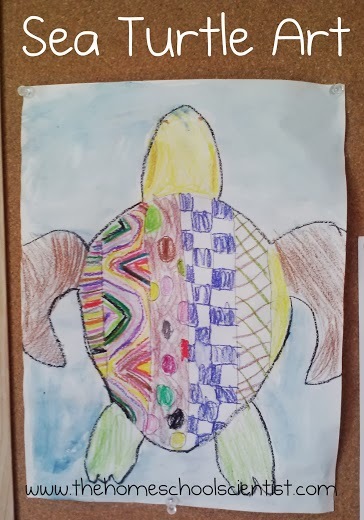 Sea Turtle Art from The Homeschool Scientist – In this project your kids are sure to have a great time designing a sea turtle. 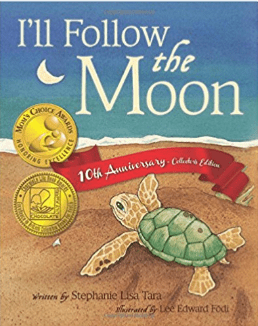 Clay Sea Turtle Activity from Buggy and Buddy – This activity that goes with the book “I’ll Follow the Moon” looks like an amazing way to get kids creating. Art for Kids Hub is one of our favorite Youtube channels and they have a great tutorial for drawing a realistic sea turtle. You can see the video below. Tin Foil Turtle from Deep Space Sparkle – This is one we actually might be doing this week. It just looks like too much fun! Floating Sea Turtle Project from Lindsay Blogs – This project from Lindsay Blogs is a great way to get kids hands on with learning about turtles. Create a floating sea turtle and then go test it out to see if it really floats. Make a Magnet Sea Turtle from Sea Turtle Inc. – This project is designed to show children how magnetic forces affect the navigation ability of a baby sea turtle. Sea Turtle Sensory Bin from Teaching Mama – This project from Teaching Mama looks like so much fun! It’s time to get hands on and learn more about sea turtles through sensory play. This looks like such a fun way to bring the lesson to life. 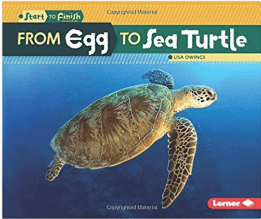 From Egg to Sea Turtle – This book shares a very basic explanation of the life cycle of a sea turtle. There are a few great vocabulary words. I also loved the use of real images instead of drawings. I created a printable to go with this book so your kids can fill in the life cycle. If you are working with younger readers it might be good to have the answers written out so they can paste them where they belong. If you are working with older children have them fill in each box with the correct answer. 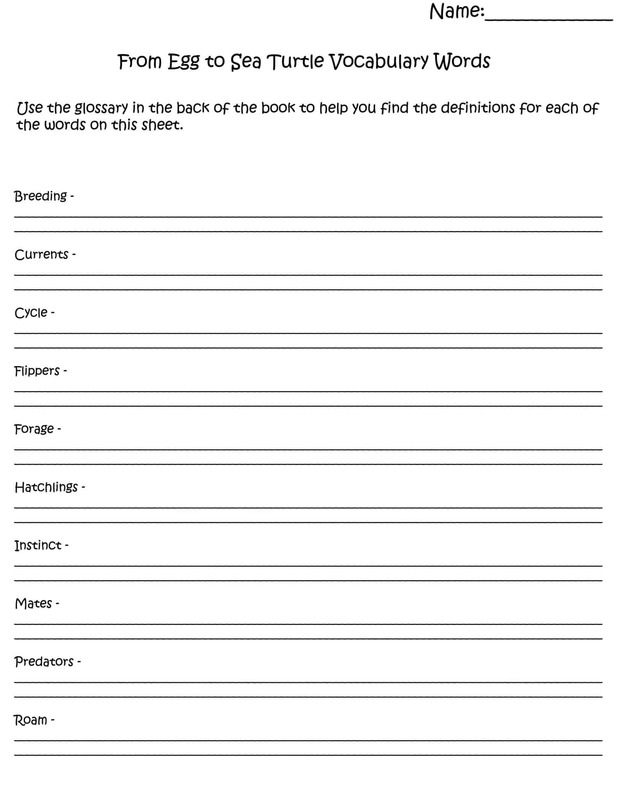 I also put together a sheet for your children to write out some of the vocabulary words and their meanings from the book. I don’t have a link for you for this book as it is a library book. You can ask for it at your library by the author Lynn M. Stone or using the ISBN of 0-86593-102-X. This book is a much more in depth view of the life of a sea turtle with details about what and how they eat. I would recommend this to an older reader who is ready to take their learning beyond the surface level. This book is packed with much deeper Science and some truly breathtaking images. 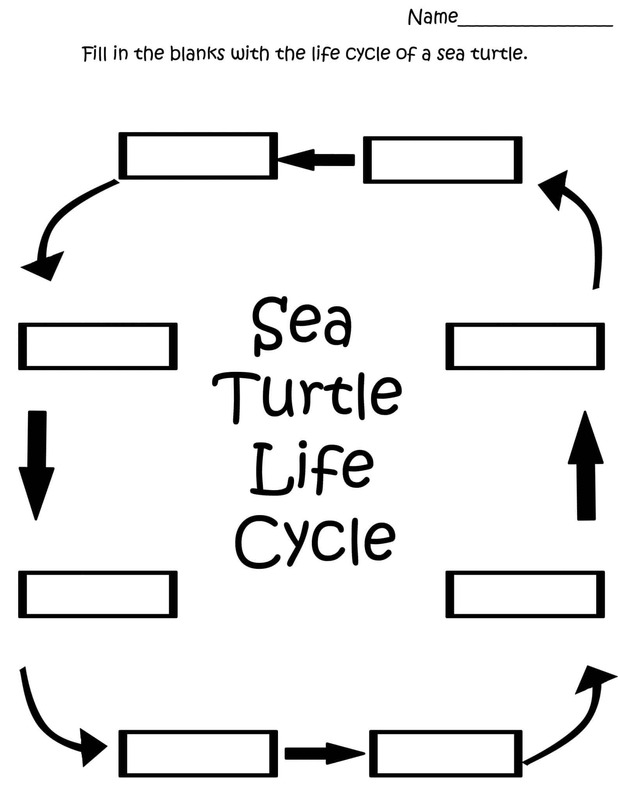 I really appreciated the diagrams that show the nest, the anatomy of a sea turtle, and more. 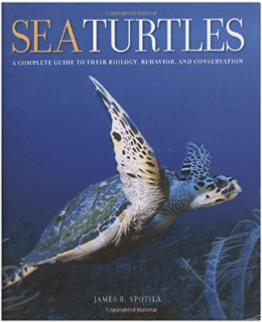 This would be a fantastic book to use to look at more information about sea turtles. Tour De Turtles – Tour De Turtles has an incredible resource site filled with lesson plans, project ideas, and more! I highly recommend signing up for some of these resources. Conserve Turtles.org – I love this site because it breaks down each type of sea turtle with facts about them and their habitats. Did you know that Disney has a sea turtle egg detection dog? They do. His name is Captain Ron and his job is to find sea turtle nests without disturbing them so they can be marked off and protected. We met Captain Ron and are excited about the work he is doing to protect sea turtles. Your kids may enjoy this short video. Ted Ed Sea Turtle Lesson Video – This video is a great video for explaining the survival likelihood of a sea turtle. There are some evolution references in the video if you teach creation based Science. I think it is still a fabulous video but wanted to make you aware in case you avoid evolution based teaching. The video below is filled with lots of fun elements the kids will enjoy while teaching some fantastic facts about baby sea turtles and how they navigate.